Y Tu Tambien, a La Unidad Latina Foundation program, increases access to higher education for Latinos, 1st generation students, minorities, and any student in need. 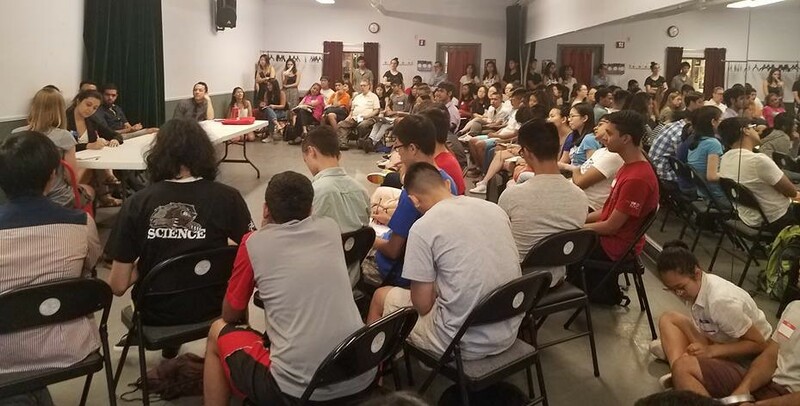 Since 2014, we’ve provided free college application workshops, mentorship and networking events to NYC High school students. We provide help with all college applications and help students find the school that is the right match for their interests while encouraging them to strive for the best this country offers in higher education. It is key to our mission that all our programs must always be offered at no cost to students and schools so that there is never a barrier between students and higher education. College Applications: We walk our students through the entire college application process. Several of our mentors are current and former admissions officers from Ivy League schools. We demystify the process in a manner that makes the experience less daunting for students and parents. Every application is reviewed by several mentors, but the student’s voice is never lost in the process. Because so many school have deadlines on January 1st or 2nd, we are one of the few organizations to offer intensive work sessions during that holiday break. We also help students through the financial aid process which can be extremely burdensome, and we help negotiate their financial aid process. Because of our backgrounds, we help undocumented student navigate through the process as well. Interviews: All students are thoroughly prepared for college, internship, and work interviews. We use various theater education techniques to help students lose their stage fright and conquer any nerves. Students go through various mock interviews, and we keep our own database of most frequently uses questions from school interviewers. College Trips: Our college trips are not just simple tours. As we have many alumni from top tier schools, we arrange for our students to meet with high ranking administrators, and officials in charge of diversity initiatives at their respective colleges. 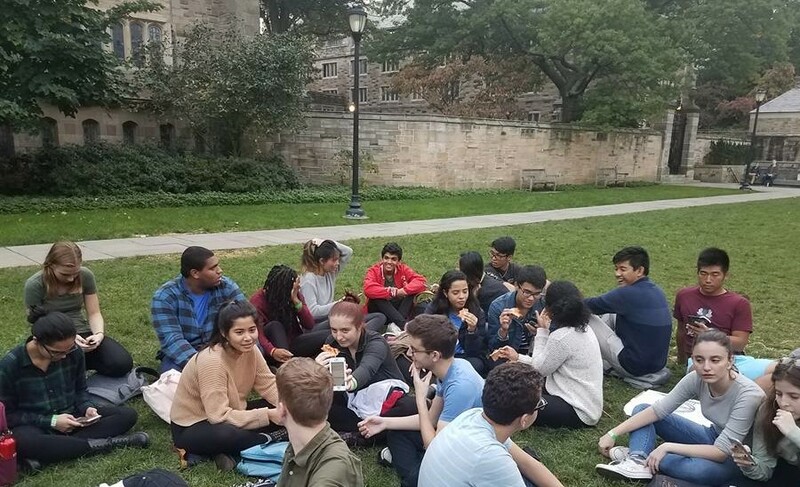 Students also meet with current college students who went through our program and get an honest- unfiltered take on life at various academic institutions. Parent Engagement: The college application process can be just as daunting for parents as it is for students. We offer various workshops to help our parents’ transition their children from high school to college. We want them to know all the support systems that are in place for the emotional and physical well being of their children. By meeting many of our mentors who come from humble backgrounds, parents and students feel emboldened to reach their highest potential. Giving Back: As all our services are free to students and parents, all we ask of students, is that when they are ready, they come back as serve as mentors for our organization. 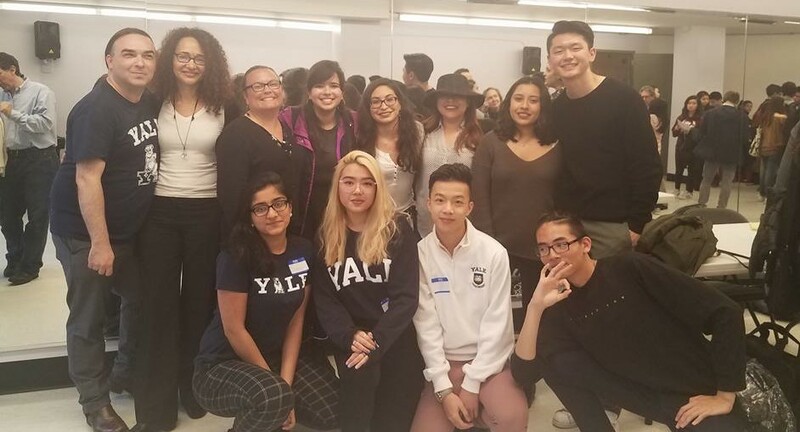 This program was born out of Yale Day of Service event, hosted by the Yale Latino Alumni Association. 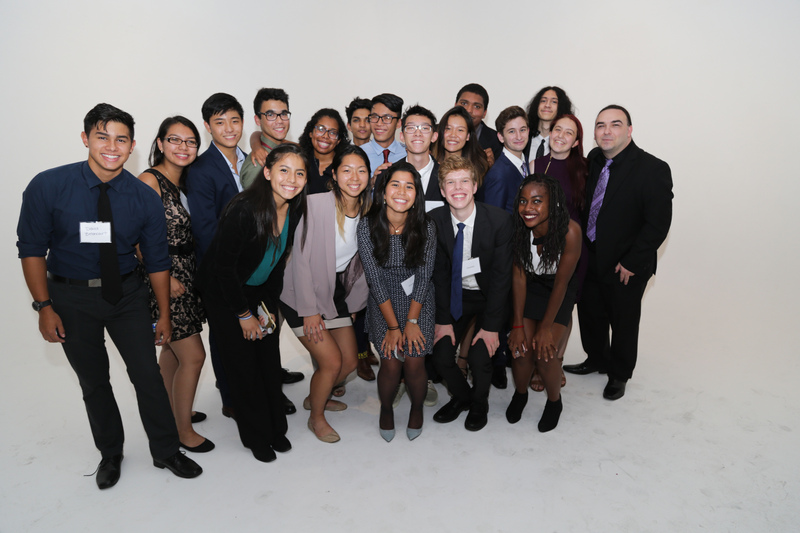 We believe in giving back to our communities, and ensuring that there are no financial barriers between students and high-quality college preparation. Students who spend minimum 60 hours in the program receive an offer from one of their top 3 schools.